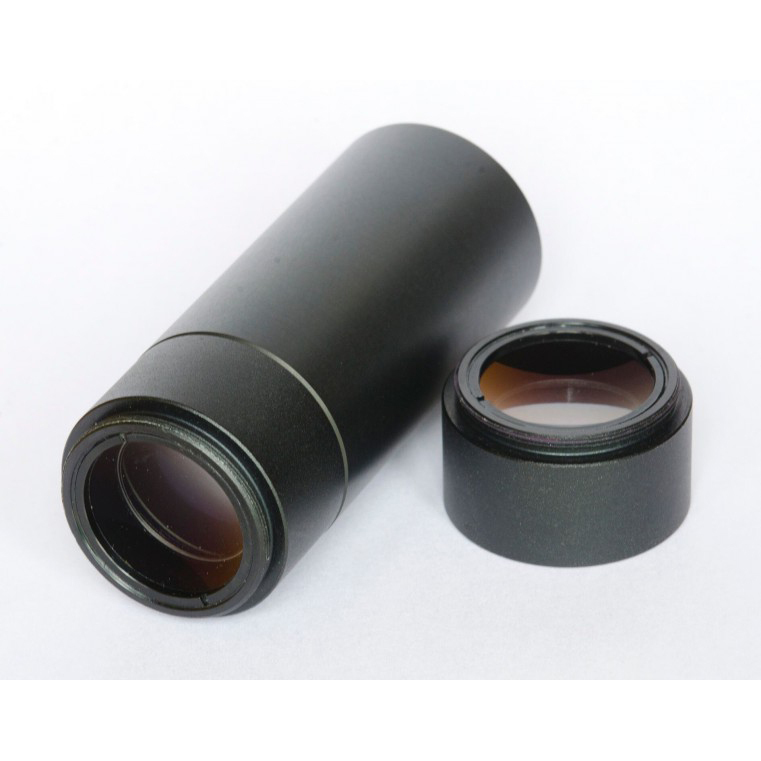 Our worldwide unique photo-visual apochromatic 2.7x Barlow with real ED glass, calculated for the correction of Off-Axis Coma at Newtonian telescopes, can now be combined with a second APM 2.7x Barlow at a specific distance to increase the magnification factor to 6.25x. Needless to say that coma correction is retained as is the corrected flat field. To use the barlow in a 6.25x configuration, simply add a second 2.7x lens cell to the other end of the extension so there is a lens at each end. This configuration yields a corrected field of 14mm at a distance of 83.1mm from the shoulder of the lens cell (84mm from the centre of the last element). The double Barlow permits very high magnification with Newtonian telescopes for planetary imaging while still retaining a respectably low F ratio needed for high frame rates. Simply set your camera sensor back 83.1mm from the shoulder of the last lens cell to have the correct back focus for imaging.